What does this have to do with applesauce, you ask? I’m getting to that! Instead of being creeped out by his 8-year-old daughter’s new adult friends (or hiding it very well), Emily’s dad invited us to come in. We sat and visited with him while he washed dishes and worked on dinner. And when we left, he sent us off with a bag of apples each! Apparently they have a friend in the area who has apple trees. 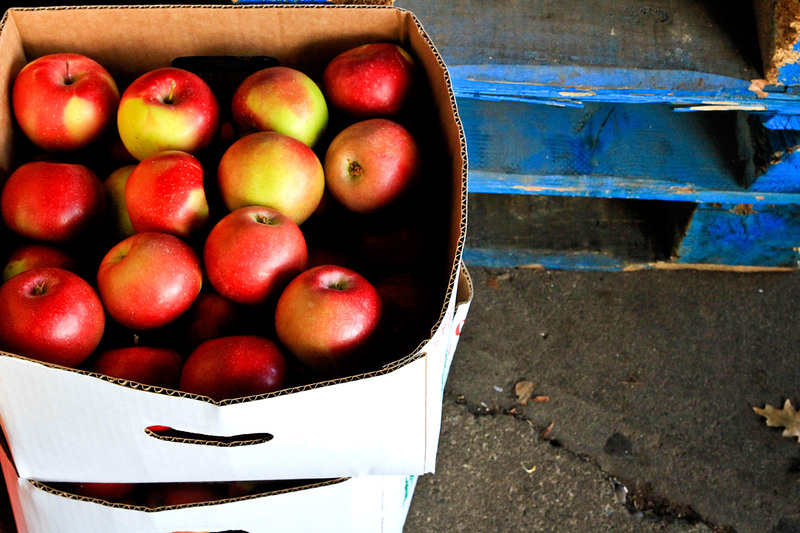 They had boxes of apples sitting around, and were probably looking for ways to get rid of them. This was perfect because I’ve had a craving for applesauce lately, and had just found a recipe for Apple-Cinnamon Scones I wanted to make that called for some applesauce. If they have applesauce here in Ecuador, I certainly haven’t seen it. In fact, when I mentioned my plan to make applesauce to Emily’s dad, I got the impression that he’d never even heard of it. Making applesauce was so easy, and it tasted so delicious, I’m not sure I’ll ever buy it from the store again even if I have the chance! I definitely recommend grabbing a bag of apples and trying it out yourself. Cover, and cook over medium heat in a large saucepan for 15-20 minutes or until the apples are soft. Cook in a crockpot on high for 3-4 hours, until the apples mash easily with a spoon or fork. How easy is that! Once the apples were soft, I stirred them around, pressing the spoon against the sides and bottom. I was left with a slightly chunky sauce, which is the way I like it. 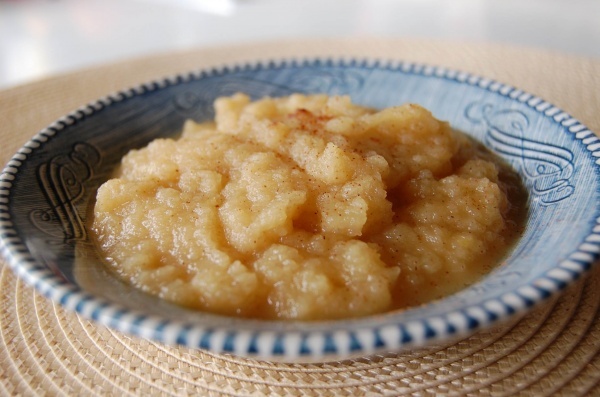 If you prefer a smoother applesauce, use a potato masher or fork to smooth it out a bit more. Chill and serve!